_Mary Henderson (Lafferty) Godfrey, born in Arkansas, is the daughter of Jacob Binks Lafferty and Sarah Miller Lafferty. Mary and her sister Margaret Miller Lafferty, who was married to John Criswell, and their two brothers John Annis Lafferty and Lorenzo Carnahan Lafferty went to Parker County, Texas in 1857 with a caravan of Criswells. There the two sisters settled. 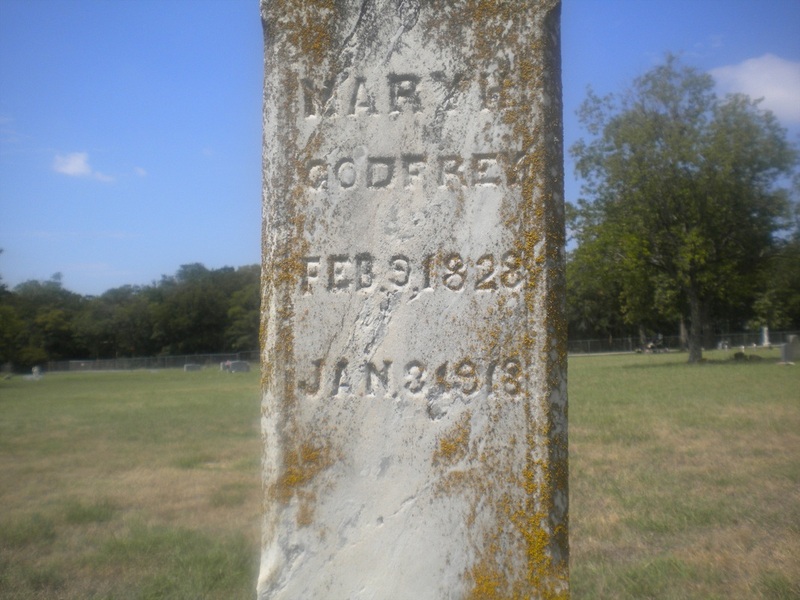 Mary married John Godfrey a widower and raised his son William J. "Bill" Godfrey. Bill's mother Anzaline Barker Godfrey had passed away in 1859 leaving John Godfrey to raise Bill and another child John M. Francis. Mary never had any biological children, just the two children that she raised as her own. John Godfrey was a Methodist Preacher and a Church was named after him. The Lafferty's were Methodist. Mary and her sister Margaret lived in Springtown, near Weatherford in Parker County the rest of their lives.